You may wish to create six separate ornaments — or join them, to create three that are finished on both sides. Earthenware Jar Nativity Miniature Ornaments — no instructions are really needed! Cutting out these miniature ornaments — each measures 3.5 x 2 5/8 inches — takes no time at all. They're ink-jet printed on a quality 8.5 x 11 heavyweight paper professional sheet that offers three of the ornaments in mirror image (see photo at left). This is so that you can join three pairs and create three ornaments with a perfect, both-sides-finished, look. You may wish to arrange these little ornaments on your shelf, in the branches of your Crèche tree, or, by punching a hole at center top, hang them with gold cord just about anywhere. They're so light they'll even adorn the stalks of your house plants. 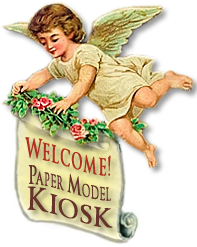 Cut out and create six miniature nativity ornaments, offered on an 11 x 8.5 quality sheet — ink-jet printed on professional media paper. Or join three, for a wonderfully finished look. You won't really need the instructions, although they're included in your PDF. 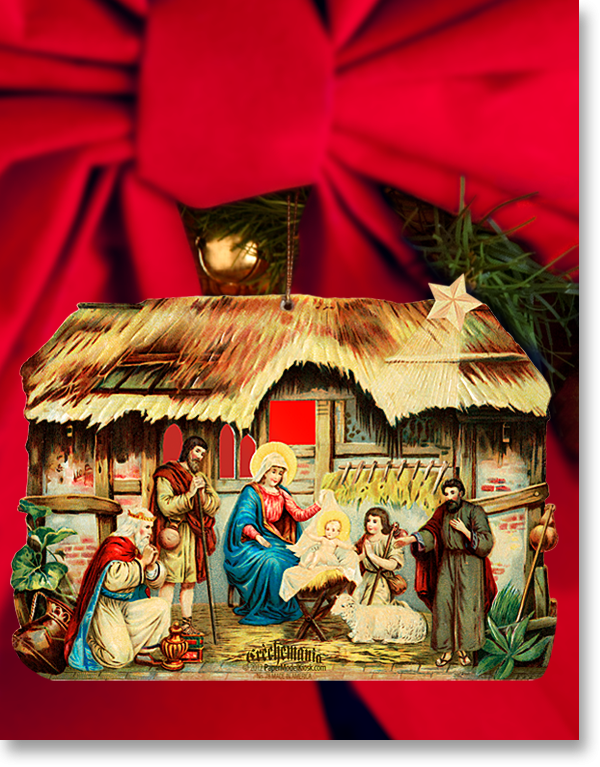 Buy Earthenware Jar Nativity Miniature Ornaments Sheet as part of a collection, and save!